Happy Thanksgiving Eve to all my friends in the US!! I can’t believe it’s already that time of year again and the holidays are quickly approaching! In typical Lauren on Location shopper-addict fashion, today I’m publishing a Holiday Gift Guide featuring one of my favorite shopping platforms-ETSY. Etsy is my absolute favorite place to buy gifts for friends and family as they have such a great selection of homemade, one of a kind, unique and special items, usually made by small local shops! And we all know how I love to shop locally! On Etsy, you can find great gifts in all price ranges and they truly have something for everyone, even us travelers! 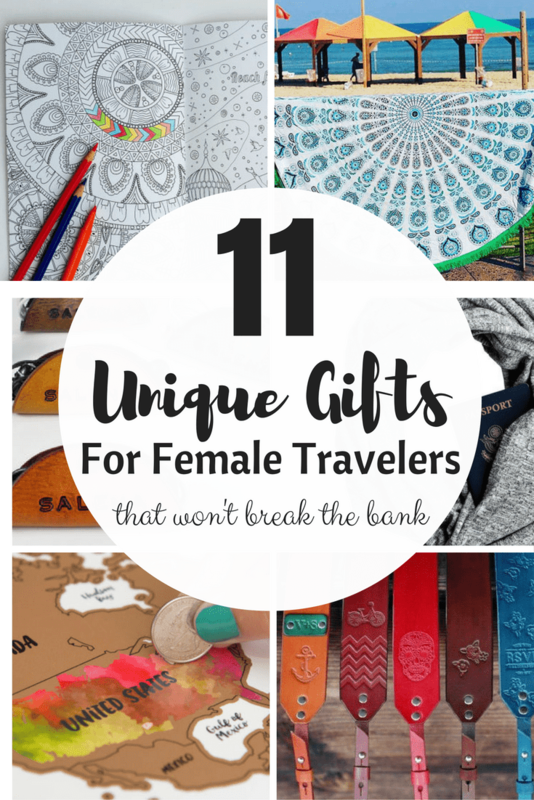 It’s no secret that girls who travel are no “ordinary chicks.” We’re always on the go, bring along only what our arms can carry and are constantly pinching pennies to save for our next big adventure. And because we usually value experiences over material things, we aren’t always easy to shop for. 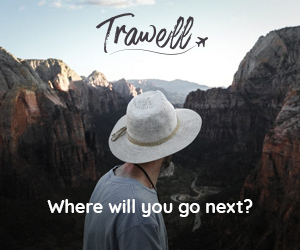 Sure we’d prefer a one-way planet ticket to some exotic faraway land, but the truth is you don’t have to drop serious dough to impress your traveling miss. The following fun, yet practical and thoughtful gifts can all be found on Etsy for less than $100! 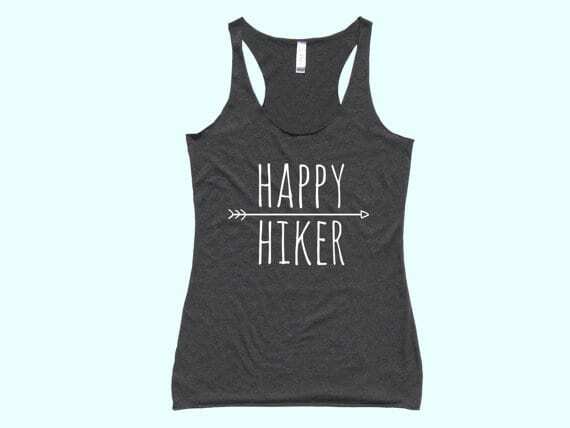 I bought one of these tanks as a birthday gift for an outdoor-loving friend and she absolutely loved it! They’re cute, comfy and perfect for hiking in the warmer months. These tanks are also made to order, so you can choose a “fit” or “flowy” tank style, as well as customize the material and graphic colors making it a truly unique and special gift! Interactive scratch maps are such a fun way to keep track of all the amazing places you’ve been! There are a lot of these maps out there these days, but I love the design of this one and how each new country checked off reveals bold and beautiful watercolors! 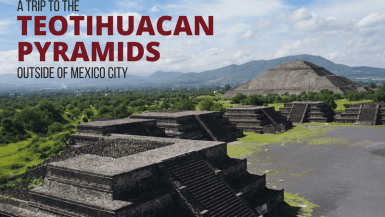 You know that traveler who’s constantly pinching together pennies to save for her next big trip? Make her saving game more fun with this decorative glass travel fund jar and watch as every nickel dropped in contributes to her dream come true. Many of us travel chicas wouldn’t be caught dead in any destination without our camera close by. We may pack unusually light, but you can be sure that this is the one thing that always makes the cut. 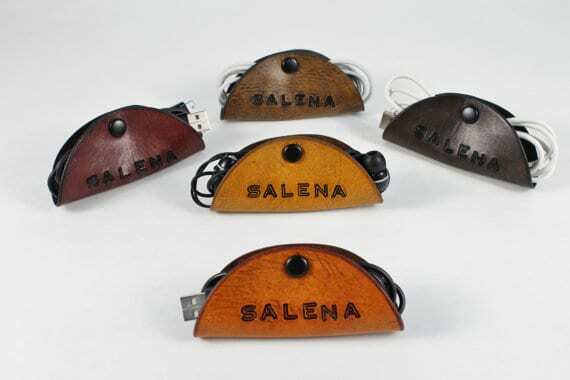 These one-of-a-kind, handmade camera straps will add a little retro style and fun color to her favorite travel accessory. It’s something she’ll use forever and every time she does, she’ll think of you! Hi my name is Lauren and I’m an obsessive planner. (It’s something I’m working on.) 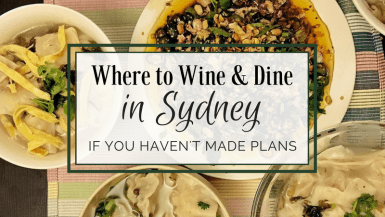 Some travel girls live for spontaneity, others live to plan. 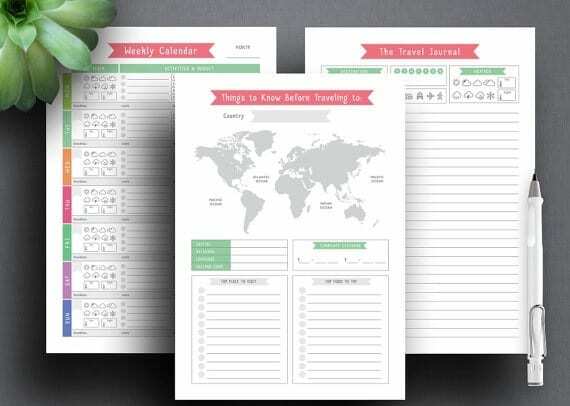 If you know a girl who has always has her travels mapped out and planned down to the very second, then instantly download these adorable planning pages, print them out, put them in a equally as adorable binder or folder and bam- you have a very affordable, yet extremely thoughtful gift! We all know at least one traveling party girl. She’s a night owl, always down to get down and is constantly returning home with another crazy party story to share. (and hey, there’s nothing wrong with that!) 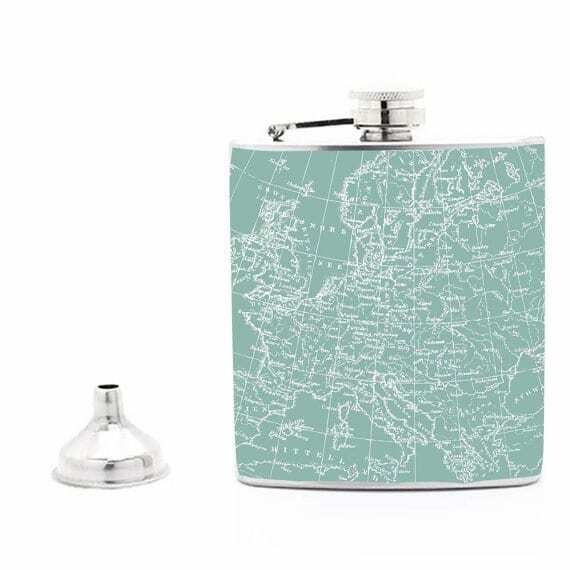 Something tells me this vintage travel-themed flask would be the perfect addition to her party entourage! This super cute, knit circle scarf is both stylish and functional. 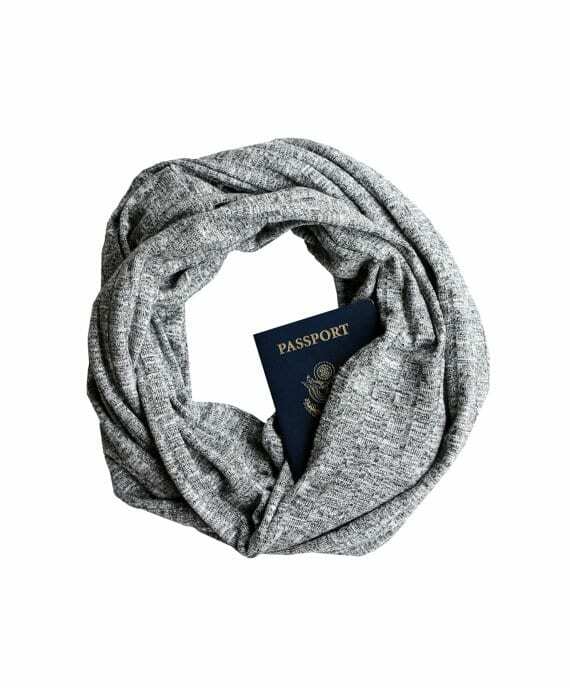 Scarves are the perfect versatile travel accessory (they can be used as pillows, shawls, belts and more!) and this one not only has a secret pocket, but will also go with anything she could be wearing! 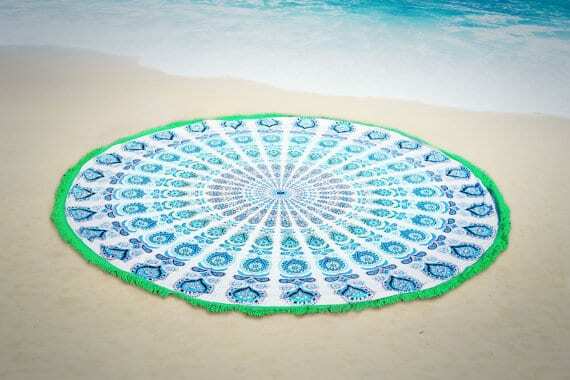 I’ve been loving round beach towels as of late! They can be used as a blanket, as decoration, a travel towel (obviously), a picnic blanket or a yoga mat. They might take up more space than usual in her luggage, but with so many uses she’ll be rightfully tempted to pack it! I’ve written about these little “cord tacos” on Lauren on Location before, but I just think they’re such a good idea! It’s easy to get your cords all tangled in a bunch while traveling, but these little guys keep everything perfectly organized and in order! Know a girl who’s always dreaming of her next destination? 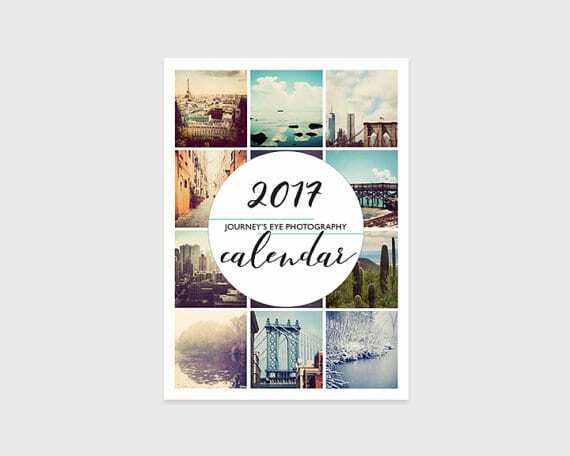 Provide a source of inspiration with a travel photography calendar featuring destinations around the globe! 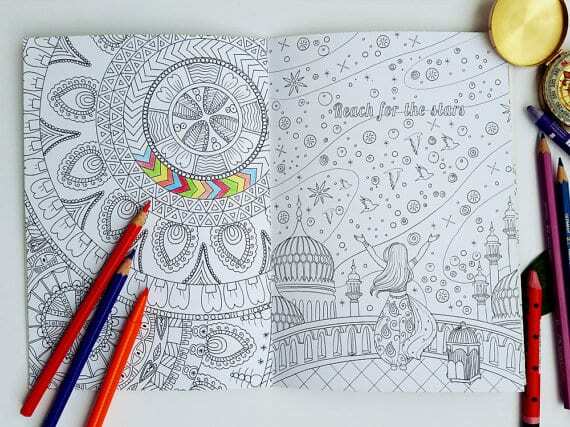 Pair this therapeutic coloring book with a small pack of colored pencils and it’s sure to be a hit. 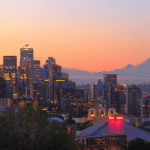 Solo travel girls often spend a lot of time alone on long haul flights and overnight buses and are looking for something to pass the time. The Reach for the Stars Coloring Book is both inspirational and a great way to relax and distract her mind when she may be feeling lonely. For more unique gift inspiration for the travelers in your life, check out my past posts Holiday Gift Guide for the Male Traveler and 40 Gifts for Travelers under $40. 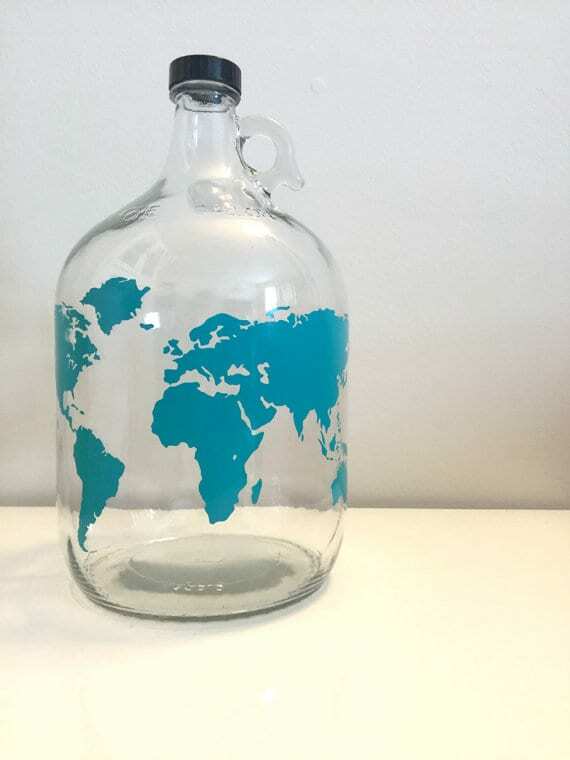 Also, take a look at Etsy’s Editors’ Picks for Wanderlust Travelers. What’s on your Holiday Wishlist this year? I’d love to hear from you in the comments below! 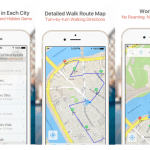 Disclaimer: This post contains Esty affiliate links. 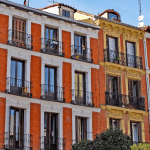 They have been provided for your convenience, but if you decide to purchase, Lauren on Location will receive a small percentage of the profits at no added cost to you. Etsy is such a mine for great gifts! I love a lot of these, especially the scarf with the pocket. I am glued to my infinity scarf for most of the year so that sounds right up my alley. What do you mean these are things I’m supposed to buy for other people?! LOVE this post, Lauren! Such unique and fantastic gifts, and I love that they’re all from small businesses/sellers. Would be totally happy to be gifted any one of these! 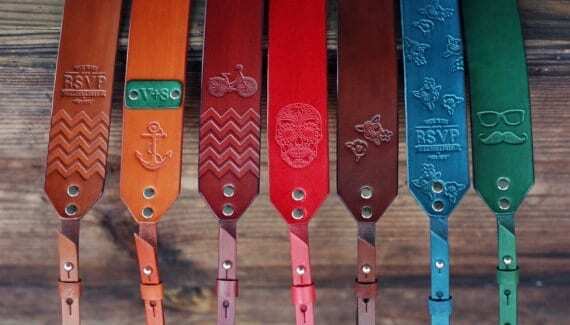 I’m so obsessed with Etsy too! There’s just so many cute options for so many different people! Those camera straps are so cute, and I also love the cord keepers too! It’s so crazy that the holidays are upon us! Isn’t it so wild that they’re already here!! I can’t believe it! 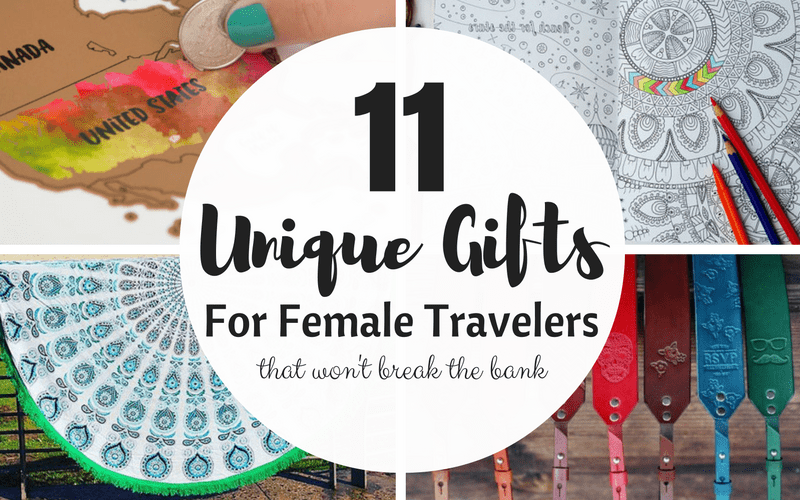 What an amazingly creative list of gift ideas! My favorite is the infinity scarf with the hidden pocket. So clever and so practical, while also being super stylish! 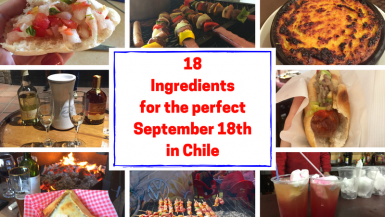 What a great list! Also a huge fan of Etsy and love the printable travel planner! I love reading other people’s gift lists. And I LOVE that watercolor scratch off map! That would motivate me so much to travel to new countries just to be able to scratch something off and reveal the beautiful colors underneath, LOL! And I want a coloring book so bad, but I think it would not be wise to travel around with one. I’ve always wanted to get a scratch off map! love this post lauren! it’s always great to support independent shops and creators through etsy. i may need one of those camera straps or a planner! Love the scarf and camera straps! Going to check out the strap, hopefully it has a cross body option. Yay! I want all of these! !